We’re always listening to the needs of the OrgWeaver community and improving the software. Today, we’re announcing some new features that we think you’ll really like. Show your org chart to anyone with one simple link. One click to expand as many org chart levels as you want. Choose exactly what data you want to see in your org structure. 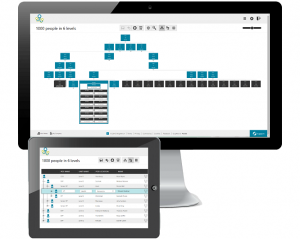 Show your customers & colleagues how your structure works.